With over 60 state parks and even more private sites, Georgian families have a cornucopia of fantastic campground options. Whether you prefer camping in an RV, in a tent, in a yurt, or in a cabin, the Peach State has you covered. 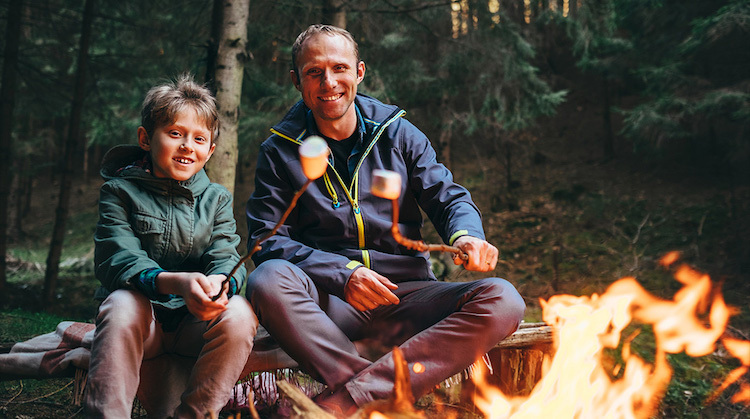 Below you’ll find five of our favorite campsites for Georgia families, each with their own unique charm. High Falls State Park in Jackson, Georgia, is home to the highest waterfall south of Atlanta, and over 100 campsites, each perfect for families. The park covers over 1,000 acres and is known for its proximity to the Towaliga River, one of Georgia’s most popular fishing sites. Accommodations include paddle-in primitive campsites, available for up to 25 people, a 650-acre lake, a group shelter, picnic shelters, a pioneer campground, river pavilion for campground guests, seasonal swimming pool, and boat ramps. Activities include over four miles of hiking trails, fishing, boat rental, water sports, swimming, playground, miniature golf, and geocaching. Families might choose to stay in one of six waterside yurts, a canvas and wood tent which includes a deck, picnic table, outside grill, electricity, and furniture. 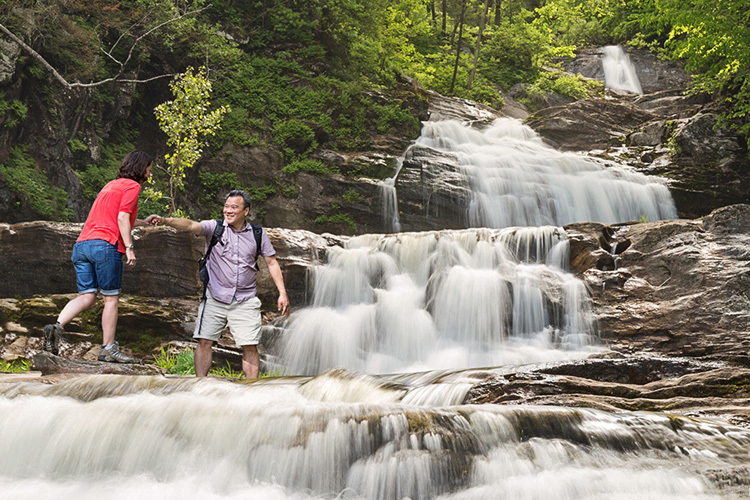 Whether you prefer to rough it out or want a little more luxury, the High Falls State Park is a perfect option. Red Gate Campground is the closest RV park to Savannah, Georgia, and has an incredible array of amenities. 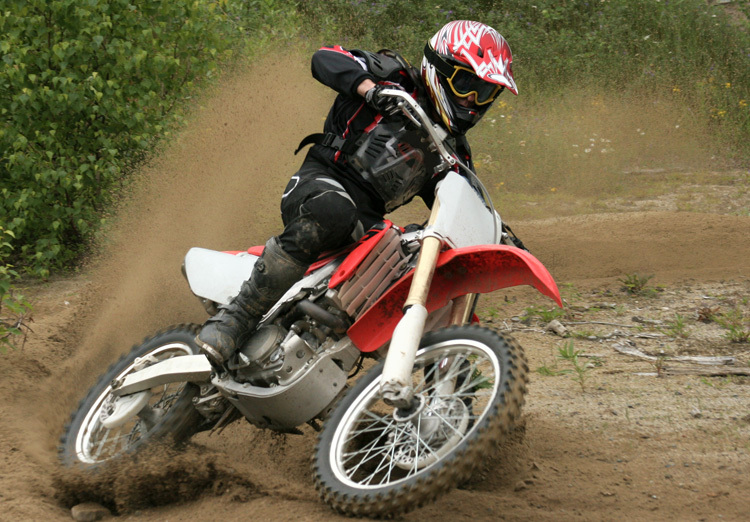 Relax on the horseback riding trail, or take a breather at the fishing ponds on-site. The camp is pet friendly, has a fully-stocked clubhouse with pool table, card table, TV, book exchange, and board games, walking and biking trails, pool, playground, farm animals, bathroom facilities, and much more. Don’t have an RV? Red Gate will help you book vacation housing nearby. Five different sites are available, each with their own rates, including the self-contained RV, full hook-up sites, water and electric, semi-private, and economy. Check the website for seasonal rates. Stone Mountain Park in Stone Mountain, Georgia, has been rated by Woodall’s as the number one campground in the Peach State. 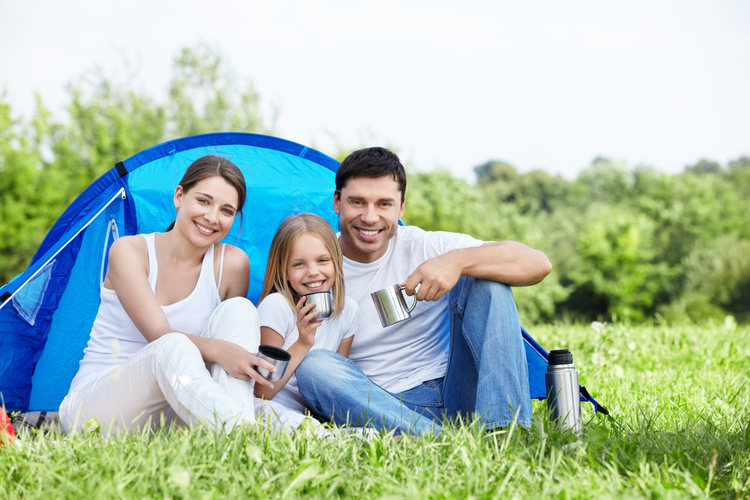 With over 400 campsites, ranging from full hook-ups, to primitive tent sites and everything in between, Stone Mountain Park offers the ability to pick the camping experience of your dreams. Each of the different types of sites have unique amenities and prices, but all have access to a special offer on the adventure pass for the Stone Mountain entertainment parks, laundry, grills, Wi-Fi, swimming pool, children’s playground, and more. Check the website for holiday events and seasonal rates. Kampgrounds of America (KOA) is a chain of over 500 campgrounds scattered across the United States. The Savanna South KOA is the recipient of the 2017 Founder’s Award, awarded to the KOA owners “that achieve world class service scores from their camping guests,” the 2017 President’s Award, “awarded to KOA’s that meet exception quality standards and are recognized by their guests for outstanding service,” and the 2016 Trip Advisor Certificate of Excellence. Amenities on the site include Wi-Fi, cable TV, a pool, and fishing sites. Site options include RV sites, cabins, and tents, each with different pricing. The R. Shaefer Heard Campground in West Point, Georgia, is part of the greater R. Shaefer Heard Park, with access to the West Point Lake. 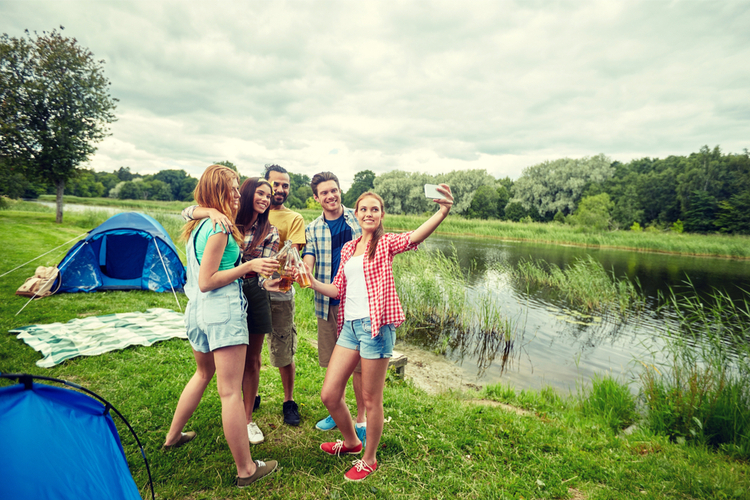 The campground has access to 117 campsites with RV hookups and tents. Various options exist, including handicap sites, waterfront sites, paved sites, and double sites. Amenities include fire pit, lantern hanger, parking pad, picnic pad, dump station, restroom, showers, biking and hiking trails, ball field, tennis court, playgrounds, amphitheater, and visitor center, along with fishing and watersports access on the lake.